Get your Backyard Ready for Summer with the Best Outdoor Sealer! 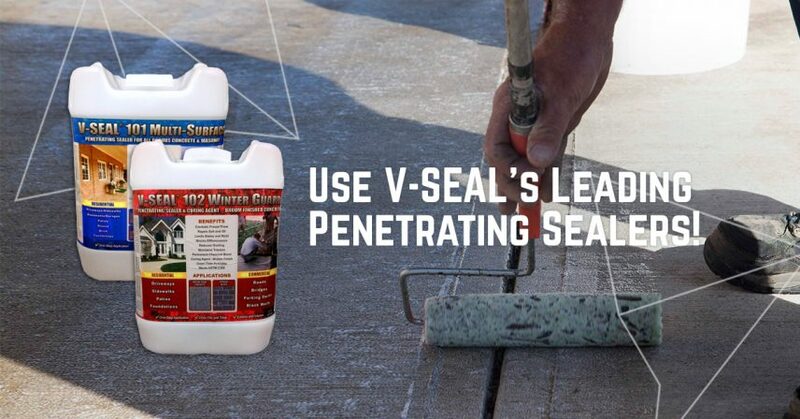 V-SEAL 101 and 102 are ideal for strengthening the surface of your patio or pool deck. Perfect for residential pavers, block, natural stone, artificial stone, and sidewalks – 101 and 102 are easy to apply and very DIY friendly as well. These penetrating sealers permanently bond with porous concrete or masonry, offering maximum strength, stain resistance, and protection. They crystallize minerals in the substrate just below the surface, which creates a cross-linked insoluble internal membrane barrier that only wears away if the substrate itself wears away. When it comes to beautifying your surfaces, we recommend Acrylic Topical Coatings. Coatings in our Industra-Gloss family are very cost effective, easy to apply, and water or solvent based. 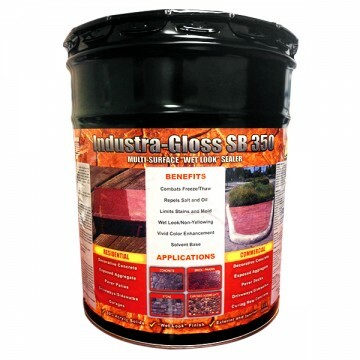 Take Industra-Gloss 350 for example. This topical sealer not only provides color enhancement and a visually appealing finish, but it also gives your surface additional protection. It’s excellent for exterior horizontal or vertical surfaces of concrete and other masonry. Use it to cure newly placed concrete or to seal existing decorative exposed aggregate, brick, stone and pavers. The V-SEAL outdoor sealers mentioned above are some of the best in the world, used by businesses and contracting professionals across the globe. But the great thing about these penetrating sealers and topical coatings is how easy they are to apply. The tips below will give you an outline to work from, but make sure you follow the specific instructions on your product label. You can also visit our customer service center to view FAQ’s, chat with us, or call our support team for advice. Tip 1: Clean your substrate surface well. Clear all loose debris. Sealed stains become significantly harder to remove and loose debris can prevent sealer from proper contact with the substrate. Tip 2: Always test a small area. Roll on with a roller, or spray on with a low-pressure garden-style sprayer. Tip 3: Penetrating sealers may be applied to slightly damp substrates. If over-applied, they may leave a white residue, which will not affect the performance of the sealer and will dissipate with normal wear. They do not usually require a second coat. Tip 4: Topical sealers require very dry, clean substrates. If applied over damp substrates, a white hazy film will appear under the sealer and may or may not eventually cure away. If over-applied, topical sealers result in a flaky, bubbled appearance. You can remove this by cleaning the damaged area with a mild solvent and re-apply new sealer. Re-coat times range from 2-24 hours. A second coat after 24 hours may require a light sanding. Ready to seal!? 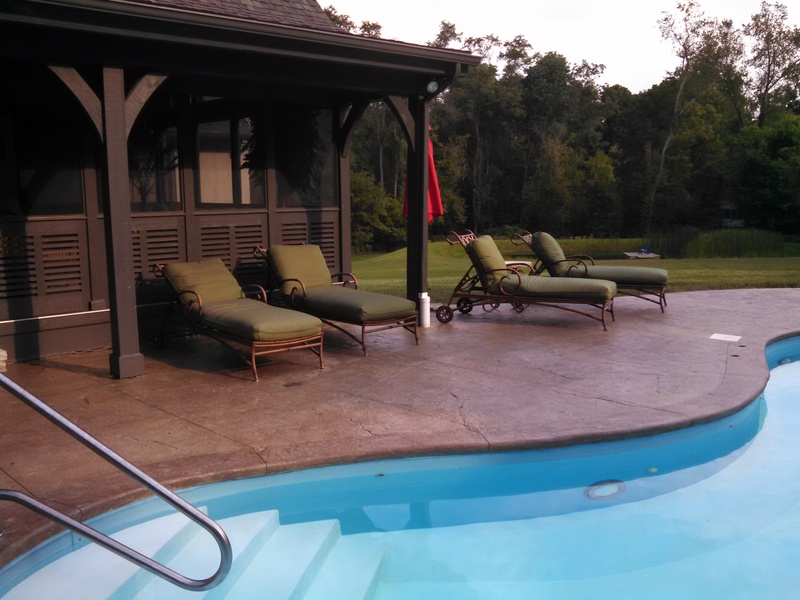 Checkout our residential patio project page for expert tips and product recommendations. We’re here if you need us: 877-738-7325.